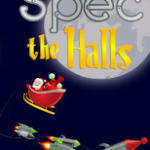 Spec The Halls – originally started by Abra Staffin-Wiebe – is back again this year! I’ve been contacting past winners as well as author friends of mine for submissions; these will all go into an eBook (available from around All Saint’s Day through Epiphany only). All proceeds will go to Heifer International – more on this when it becomes available. Oh yes, the contest. This is what you’re interested in, my pretties. Much like prior years, I’m requiring you to make the story available on the web at least through next Groundhog Day in the spirit of giving and sharing. I’ll probably ask most of the entrants to submit for next year’s charity book. But this year, they’ll be in the running for cash prizes – $100 for first place, $50 for second place, and $25 for third place. We’ve got other authors as the judges, so you’ll want to bring your game, folks. 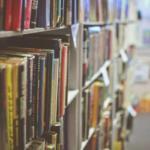 Check out the guidelines – submissions are already coming in!